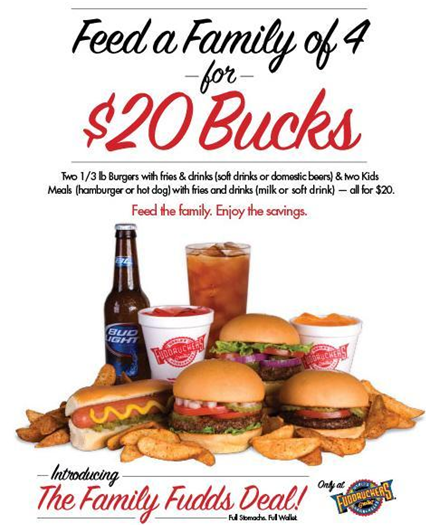 Fuddruckers: Feed a Family of 4 for $20! Fuddruckers family deal: Feed your family of 4 for $20. I don't see an experation on this deal. Contact your local Fuddruckers for details. Another Freebie from TIGI: 1oz sample of Wonderful Tonight! Get another Freebie from TIGI (if you can get through their site that has been bogged down--keep trying). Get your free 1oz sample of Wonderful Tonight (it's a hair repair treatment). I finally got through the site early this morning to get the Bed Head Lip Pallet FREE. PreNexa is offering a free pregnancy journal when you fill out their registration form. 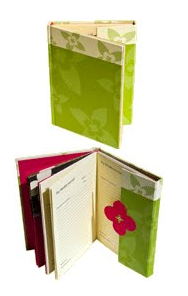 If you don't need a journal, maybe you know of someone that you would like to give a journal to. You will also get a $5 coupon for their prenatal vitamins through Dec. 31st and you can print off customized address labels. Tigi Bed Head Girls Just Want it Lip Pallet: FREE! Get your Tigi Bed Head Girls Just Want it Lip Pallet Free! Supplies are limited. Retail value is $25 but you will get it FREE. One per customer. FYI: their site is bogged down, so be patient and keep trying. 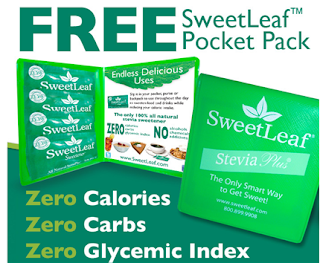 Become a fan on Facebook of SweetLeaf and recieve a FREE SweetLeaf Pocket Pack! For those of you who have never used SweetLeaf Sweetner, it is a 100% natural stevia sweetener. 0 calerories! 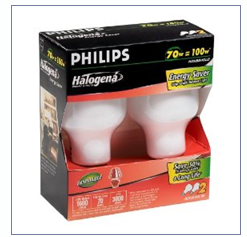 Philips Energy Saving Light Bulbs - $10 or $5 rebate! When you buy $30 on qualifying Philips bulbs, get a $10 rebate or buy $15 on qualifying bulbs, getg a $5 rebate. Get your Philips rebate form here along with details and qualifying products. Taco Bell - Printable Coupon for FREE Fresco Taco! Print your Taco Bell Coupon for a Free Fresco Taco Here. 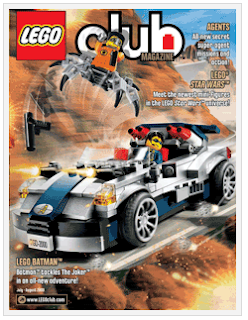 LEGO club - FREE 2yr magazine subscription! Any Lego lovers in your family? Get your FREE Lego club 2yr subscription here. Vista Print - 50% off list and FREE ship on orders over $30! 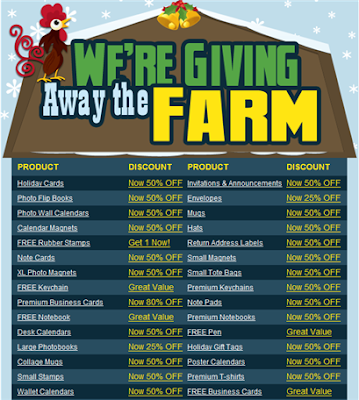 Vista Print is giving away the farm. 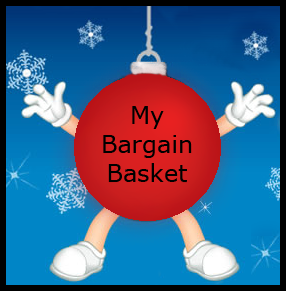 Besides offering 50% off of many items. They are offering free shipping on orders over $30. Wowza! FREE Dr. Seuss printable gift tags to color and clip! Print your free Dr. Seuss gift tags here and let your kiddos have fun coloring them. If you've already wrapped all your presents, print them for next year. 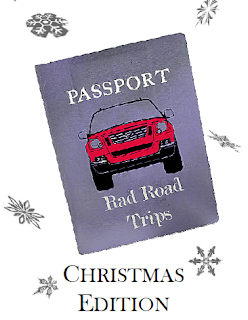 FREE downloadable Road Trip Activity Book- Christmas edition! This is a great activity book for those traveling for Christmas. It would also be great for party activities. Download your copy of the Road Trip Activity Book here (Christmas Edition). Free Personalized ESPN Poster with a picture of Your Child! 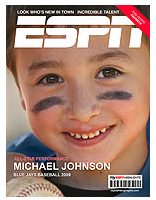 You can create a free personalized ESPN poster with a picture of your child. Once you make it you can download it, and save it to your computer. This way you can use all these free photo deals we get to make multiple copies if you wish! Note: It will ask you if you would like to purchase a poster or download. Choose the download option to get it for free. Then you can print and make copies when you come across a deal! Now if you would like a deal to make your download into a poster for about $5 shipped then go to seehere and make your espn download into an 11x14 poster. Use check out code poster-24 to take 30% off your order plus get free ship! Your seehere poster should be about $5 compared to $35 that the first site would have charged. Shop through ebates and you will get 12% cash back rebate and first time users get and added $5 cash. 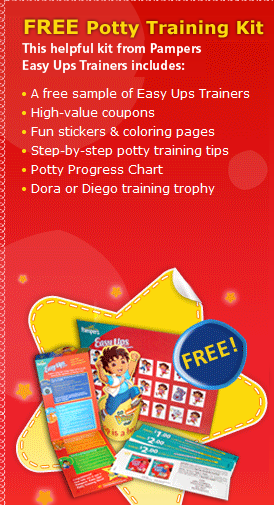 FREE Potty Training Kit from Pampers! Get your FREE Potty Training Kit from Pampers Here. 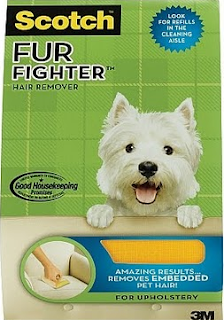 FREE Scotch Fur Fighter Pet Hair Remover Tool! Hurry to smartsourcesamples to recieve a FREE Scotch Fur Fighter Pet Hair remover tool ($5.99 value) and a coupon for your next purchase of refill sheets. Diapers.com - Get $10 off your first order - free ship over $49 - & 1-4% back through ebates! Holy Fast Ship! - I ordered this yesterday and I just came home at 11:45am today and my diapers.com delivery is already here. Amazing. I wish I had known about diapers.com for my older 3 kids. Wow. Get your diapers and everything delivered for you (except the baby). $10 off your first order. Enter Referral code SHER7732 at check out. Free shipping for orders over $49. You can get paid back on referrals. Use manufacturer coupons on your next order. Send in your mfr. coupons before your next order, they will credit your account. Plus, if you shop through ebates (Click Here), you will get paid back 1-4% on your orders. If you are new to ebates, you will get $5 back on your first order. Registration is free. 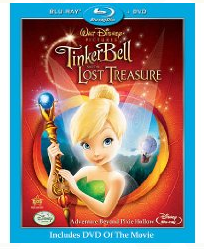 Best Buy has Tinkerbell and the lost Treasure Blu-Ray/DVD combo pack on sale for $16.99 (This is NOT MARKED but on sale all week)! This is unadvertised so check your local Best Buy and also, since it is unadvertised, Target will not price match. Disney Movie Rewards members can score a Tinker Bell And the Lost Treasure Blu-ray combo pack $10/1 printable coupon! Just login to your Rewards account (or create an account free) and enter code "gift", then click on the banner to print your coupon. 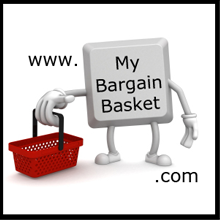 (Click Here) Make sure to hit your browser back button to print a total of 2 coupons. Final cost, after the $10 coupon, ONLY $6.99 plus tax ($8.23 total for us MN's)! **Also, don't forget about the $5 rebate you can get from Kernel Season's (Click Here)! Just purchase 2 Kernel Season's products and the Tinker Bell Blu-ray combo pack! Final cost after the rebate (if you purchase the Blu-ray combo pack on sale for $16.99)---$3.23! Remember one rebate per household, so choose where you want to use this wisely. Simple Angel Ornament that kids can make and give as gifts! I haven't looked for the paper clips to make these simple ornaments yet but, I've read that you can find them at Office Max or Staples. 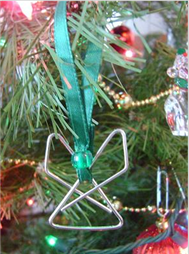 (Click Here) for instructions on how to make these angel ornaments. 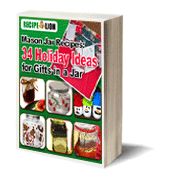 (Click Here) to download a free copy of Mason Jar Recipes: 34 Holiday Ideas for Gifts in a Jar. This ebook has 77 pages of wonderful and delicious gift-in-a-jar recipes and Ideas which would be great to make and give as gifts this Christmas season! 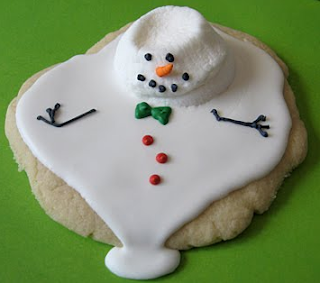 Okay, I know this is not "deal/bargain" but I just think these cookies are way too cute! Personalized M&M's - Add Picture! These personalized M&M's are the cutest candy gifts. They are not cheep but, this deal will help. Three or more of the bags pictured above will be $12.99 if you add a picture. Use your bonus bag coupon code to get an extra bag and your 10% off coupon code. This puts you at about $8.76 a bag plus ship. Do you have any LeapFrog toys in your house? 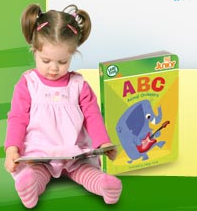 Earn a free LeapFrog ABC Animal Orchestra board book just for linking those LeapFrog toys up to your Learning Path (Click Here). Even if you've already created a Learning Path, you can still earn your free book by selecting the toys you have and linking them to your child's profile. You should receive your free book within 6 to 8 weeks. Unlikely you would get it for Christmas but you can always give it as a birthday/shower gift if you are not going to keep it for your little one. Sign up is free. 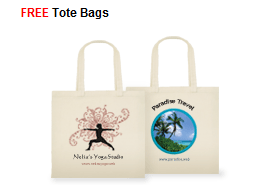 Vistaprint is offering many Freebies for the holiday season but the deal I think is so great is the FREE small personalized tote bag. 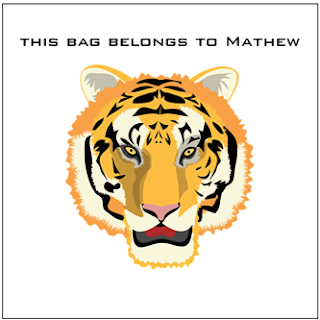 You will need to pay $4.41 shipping for this canvas bag but, it makes for a great Sunday school bag for the kiddos (among other things). Click Here for more details. Scroll down to the bottom of the Vistaprint homepage for the offer. There are many designs to choose from (it says only 24 designs on the homepage, but there are hundreds). You can insert your own text. 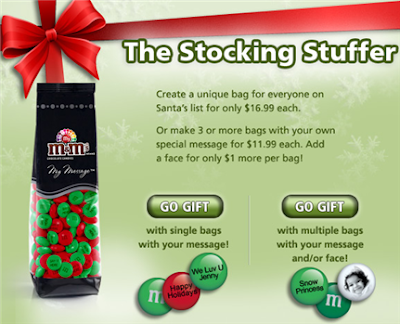 The bags would be great for a gift bag because the recipient of the gift would also get the bag. You can also add the other freebies to your order and the shipping will only go up slightly. Special Note: Be careful at the final checkout. They will have two orders to confirm, one order has an extra "something" that they have added to your order and the other is your order with nothing added. Be sure to check the box with only your ordered items (unless of coarse, you wanted the extra something). Don't forget to shop through ebates (Click Here) and get 6% cash back on your Vista Print purchase. Plus if you are a new member, you will recieve $5 cash back for your initial sign up. Just follow the link to Vista Print through the ebate site. 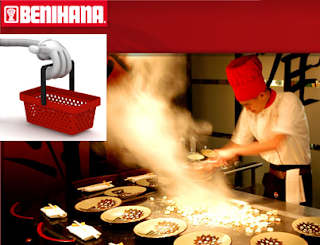 When you sign up for Benihana's "The Chef Table" (Click Here), you will recieve a complimentary dinner certificate (max. value $30) good for the entire month of your birthday (they do ask for i.d. at the restuarant by the way). Registration is free. This is great if you have loved ones or friends that have birthday's in the same month as you.